When candidates and commentators talk about Islam or Muslims, they should think about the impact of their words on the lives of millions of American Muslim children across our nation. 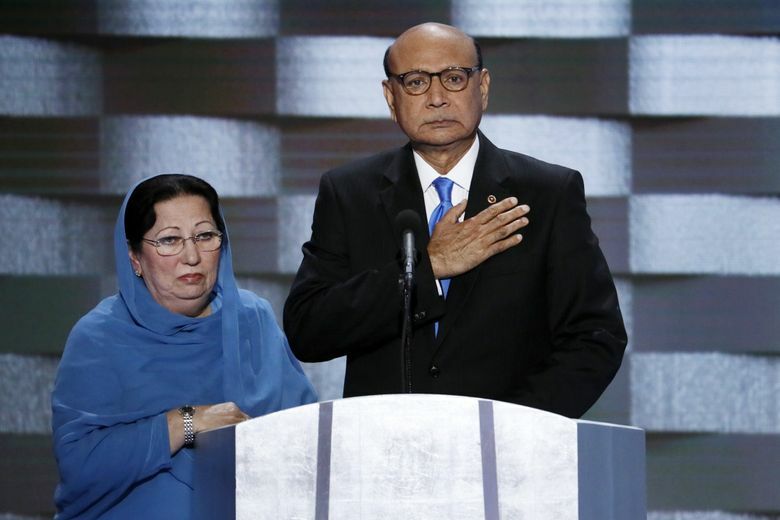 KHIZR Khan’s speech about his son, U.S. Army Capt. Humayun Khan, who gave his life serving our country, struck a chord with my father, my siblings and me. As a proud third-generation American Muslim U.S. Army veteran, I know that the defining characteristic of American Muslims has been a deep commitment to serving our country and giving back to our society. According to the U.S. Department of Defense, 10,000 to 20,000 American Muslims serve in our nation’s armed forces, and many have made the ultimate sacrifice, including U.S. Army Specialist Kareem Khan, Maj. James Ahearn, Specialist Rasheed Sahib, and of course Capt. Khan, among several others. Inspired by the Quran’s teachings that saving one life is like saving all of humanity, about 50,000 American Muslim medical doctors across the U.S. are saving lives every day. One in every 18 medical doctors across our country is an American Muslim, working to save and improve lives every day. Born in Horntown, Va., Khalid Lites is a third-generation American Muslim military veteran. He, his wife Kirsten and their children live in Shoreline. My grandfather, U.S. Army Specialist Malcolm Lites, served honorably as part of the legendary 101st Airborne Division during World War II, stationed in Stuttgart, Germany. Inspired by my grandfather, my father, Abdul Malik Lites, enlisted in the U.S. Army and was deployed multiple times for combat missions during his more than 20 years of service. He retired as a chief warrant officer. Seeing the commitment and honor with which my father served our nation inspired me to serve in the U.S. Army as well. I was stationed in Germany, South Korea and finally at Joint Base Lewis-McChord. It felt great giving back by serving in the Army and I cherished every moment of it. Today, I am a proud third-generation American Muslim U.S. Army veteran. My father was a great U.S. Army soldier and a great American Muslim. During his career, my father served as an assistant chaplain helping soldiers and people from all walks of life. Through his actions, he instilled in my siblings and me the Islamic teachings of commitment to God, community and society. 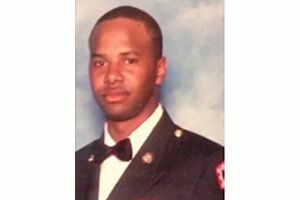 One of my brothers and my sister have served for years as active-duty U.S. Army officers, and another brother recently transitioned into civilian life after several years in the Army. American Muslims share the same American values and freedoms that we all cherish, knowing that we are all in this together. American Muslims uphold the Constitution and laws of the United States and share our country’s strong family values and are dedicated to raising and educating our children. My wonderful wife Kirsten is a U.S. citizen and registered voter. We have three beautiful children: Malakai is in middle school and wants to grow up to be an astronaut, Adam is 2 years old, and our youngest son, Ismael, is just over 1 year old. We love our children and want to build a better future for them. We want them to grow up to be honest, hardworking, productive citizens, practicing Island with strong morals and values, and to be proud Americans. When candidates and commentators talk about Islam or Muslims, they should think about the effects of their words on the lives of millions of American Muslim children across our nation. Anti-Muslim commentary is not only dangerous in the hate crimes that it incites against these children and their families, but it can also shatter their hopes for a better future of a life fulfilled — the American dream. In times like these, fair-minded leaders have a duty to affirm American values of religious freedom and publicly tell stories of the lives and contributions of American Muslims they know. This can be done in simple ways, including letters to newspapers and speeches at large public events. When millions of American Muslim children read the news, the messages they hear from fair-minded business and political leaders are that American Muslim children have the right to grow up with the same hopes and dreams as any young American.